Kinetic is a 100% responsive One Page theme and is built on Twitter Bootstrap 3.0 Framework, with several amazing jQuery plugins. It is great for creative agencies, digital studios, photographers or personal freelancers. 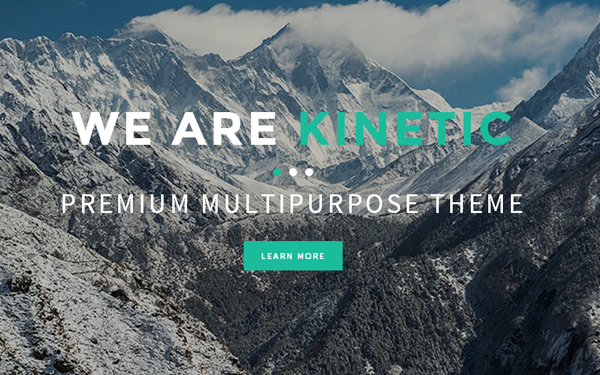 Item Reviewed: Kinetic - One Page Parallax Theme (Bootstrap 3) 9 out of 10 based on 10 ratings. 9 user reviews.